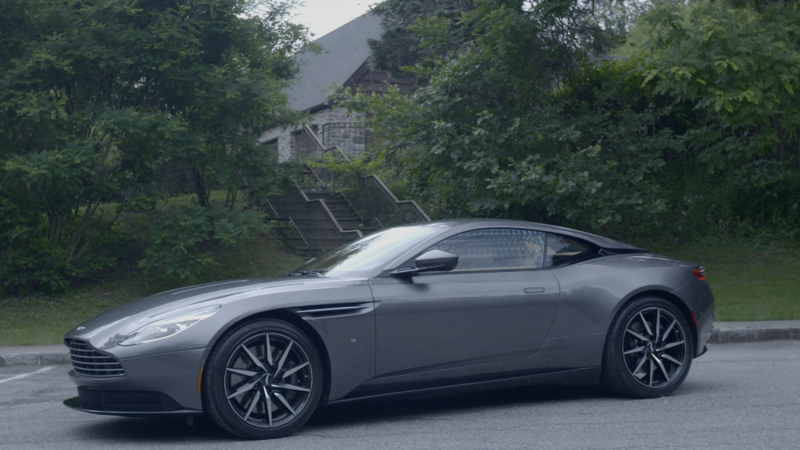 The Aston Martin Martin DB11 is almost certainly the best Aston Martin that has ever been made. It is also, according to Aston Martin's leadership, the most important. That's because the DB11 essentially sums up everything Aston Martin wants to be from here on out. And, since Aston Martin is one of the world's last fully independent automakers, with no big corporate parent to fall back on, there's a lot riding on this car -- really, everything. Aston Martin is known for making very beautiful high performance luxury cars. To use an imperfect analogy, it is sort of a British Ferrari. 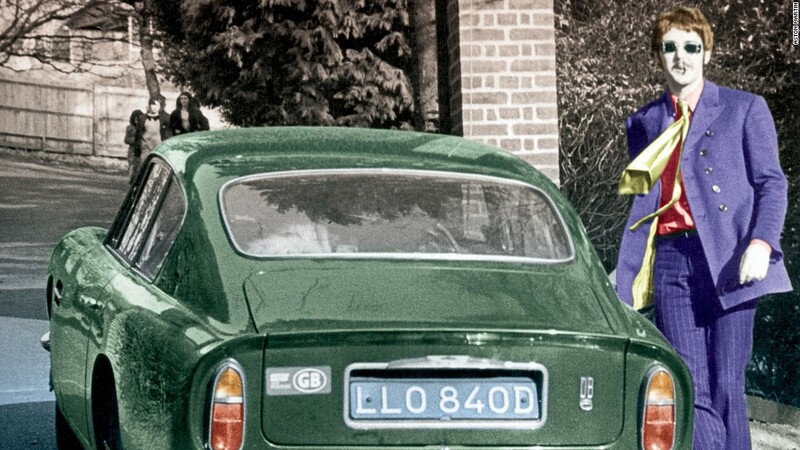 Ferrari, you see, does performance with a distinctly Italian character. The driving experience is deeply intimate and involving, you feel very much a part of the act of driving the car. It never feels like the car is driving for you. The DB11 looks recognizably like an Aston but, still, unlike any Aston Martin you've seen before. Aston Martin offers its own distinctly British take on speed. At least in the brand's more recent models, it's like the car is obeying your commends without bothering you over the details, like a good servant. An Aston Martin, in general, feels supremely capable and very fast with a wonderful burbly engine sound that covers over everything like the tasty sauce on a sticky toffee pudding. Elegance and comfort, at least for front seat occupants, are paramount. 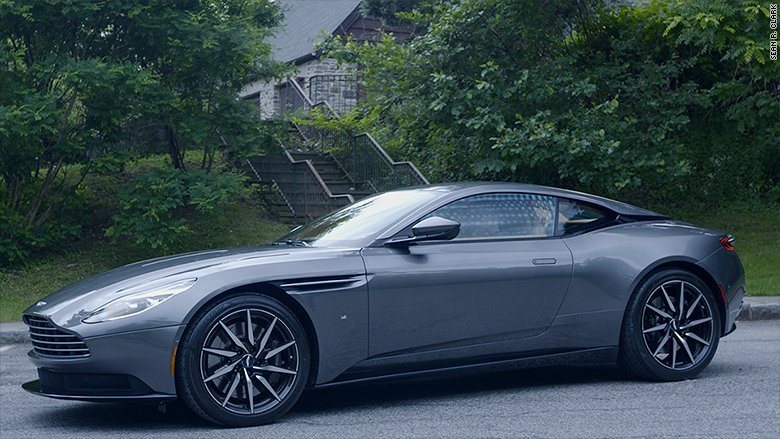 When I think of Aston Martin, I think of the ultimate Grand Touring cars, vehicles designed for long drives along gently curving roads at slightly irresponsible speeds. That's all fine with me. I love that sort of thing. No surprise, then, that the new DB11 does all that supremely well. And, seen from both inside and out, it's gorgeous with unique touches everywhere. There are those side vents that look like they're pulled straight back from the front wheel wells. 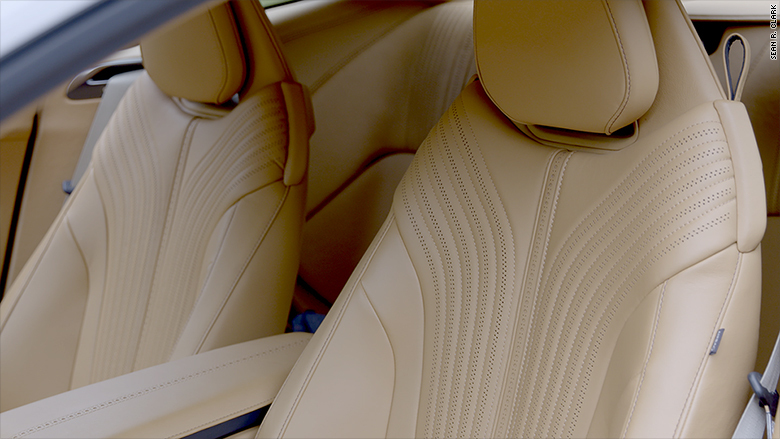 Inside, the leather seats are marked with swirling perforated patterns. In its "Touring" mode, the DB11 cruises along smartly, just as it should. The 600 horsepower turbocharged V12 engine makes a wonderful sound of the sort that only an excessive number of cylinders can deliver. The surprise comes when you switch the DB11 to its "Sport" mode. The steering and suspension tighten up nicely as the exhaust lets more of that engine sound pour through. In this mode, the DB11 feels much more responsive and balanced than I'd expected. It's a joy to drive feeling much lighter and more nimble, as if the car had suddenly shed hundreds of pounds. Aston Martin's have always had lovely interiors but the DB11 takes that to a whole new level. And with 600 horsepower it is, of course, ungodly quick. I've driven faster cars but, really, no-one needs more than this. The automatic transmission, which can be controlled with the flick of a paddle mounted to the steering wheel, shifts with respectable immediacy. In curves, the car feels sharp and balanced in a way you might not guess from its outward appearance. The DB11 is still somewhat of a compromise. It's not the most raw sports car experience you can have. At the same time, the backseats are ... well, they're there if someone needs them. It is, however, the best Aston Martin experience I have ever had. And that, as its own thing, is delicious.